GUMNUTS.....AND OTHER STUFF: Female Orphan Institution, Rydalmere. 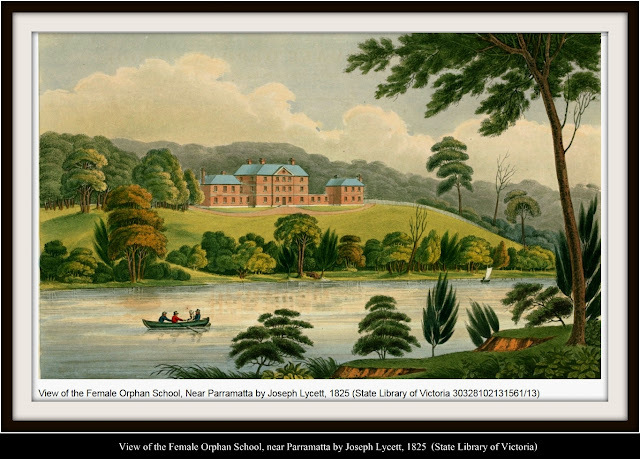 In 1813 Governor Macquarie laid the foundation stone for the new Female Orphan Institution, a grand, purpose-built building on the northern bank of the Parramatta River. It was opened to pupils in 1818. Went with Les and Lori to see the display of Old Sydney photos. More different photos can be seen on my Rust, Relics & Ruins blog. The Whitlam Institute where the photos were on display. The foundation for the Female Orphan School was laid by Governor Macquarie in September 1813. The building was modelled on Mrs Elizabeth Macquarie’s family home ‘Airds’ in Scotland. Lori and Les viewing the old photos in the Margaret Whitlam Galleries. The photos were a great insight to early Sydney. 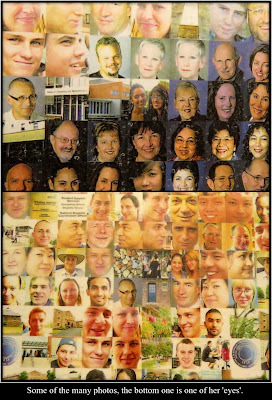 Two of the photos on display. Lancaster Wooden Plate Camera, c.1888 - 1908 and Midg No.0 Camera, c.1905. Hand painted wall murals and layers of old paint. The Jacaranda's were a feature of the centre. The old school (cream building), originally featuring polychrome brick work and clerestory windows, was built in 1870. The Jacaranda's would have provided welcome shade in the summer. Bars on the windows could be from the asylum days. The River Cottage, built in 1895, was the residence for the hospital’s chief attendant. Medical Superintedent's House. A residence was built for the ‘Master of the Orphanage’ around 1868–1870. The old chimney and boiler house, circa 1894 – once part of the site’s steam laundry and engine room. Modern junk spoils the look. Elizabeth Macquarie’s portrait, made up of 100's of minature photos. Riot Day, Parramatta Female Factory Tour. 3 Parramatta River and Armoury Walks. An ABstRacT View of Sydney Olympic Park. Bathurst 1000 - Just Like Being There.